On 28 October 2018 In2hula is going to attempt to set a new New Zealand record for the most people hooping together for at least 2 minutes continuously. This attempt will be the feature activity of the Super Heart Hoop-Off which is a fundraising event for the Heart Foundation. As we build-up to the event In2hula is going to feature a collection of Inspirational Hoopers who are taking part. Amelia Beazer is the second of our Super Heart Hoop-Off feature Inspirational Hoopers (the first was Faye Robinson. Despite having a significant physical health issue Amelia has gone from being able to hoop for 20 seconds to being able to hoop for over 2 minutes continuously in just four weeks after practicing for only 5 minutes a day. If Amelia can do it – so can you! It’s a great way to increase confidence. Amelia has Wolff-Parkinson-White (WPW) syndrome. This is a rare congenital heart disorder involving irregularities in the electrical system of the heart. People with WPW syndrome may exhibit one or more irregular heartbeats, especially episodes of abnormally fast heartbeats that often begin and stop abruptly and may last a few minutes to a few hours. When we interviewed Amelia’s mother, Krystal Beazer, she told us that Amelia’s physical condition has made it difficult for her to engage in many physical activities, and that she has felt that she was not as good at many physical activities as other children. “Amelia has found that she is not the fastest runner so hula hooping has actually given her the confidence just to exercise,” says Krystal, “she doesn’t exercise as much as most children because she tires out easy so the hula hooping is a nice lower impact exercise that she can do and feel great about it.” For Amelia, as for many others, learning to hula hoop has been an enjoyable way to increase confidence. This enthusiasm seems to have been inspiring others in her family too, including her younger sister Hannah. “It’s a good bonding session . 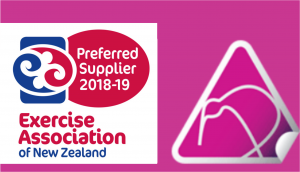 . . between the sisters and myself,” says Krystal who has already registered the family to take part in the Super Heart Hoop-Off NZ hula hoop record attempt. You can take part as an individual, or increase the fun by getting a group of family, friends or workmates together and taking part as a team. The theme for the event is Super Heroes and dressing up in encouraged. Corporate teams are welcome to dress-up in a way that promotes their business. If you need some coaching, In2hula offers group personal training sessions at your choice of location for families and friends. In2hula also offers several workshop and training options for workplaces and businesses. Contact Bernadette Smith for more information.